MANILA, Philippines – The Abu Sayyaf's recent beheading of its Canadian hostage is a problem of the Aquino administration and not of President-elect Rodrigo “Rody” Duterte said by the incoming presidential spokesperson Salvador “Sal” Panelo. Panelo added that the Abu Sayyaf's kidnapping of foreigners is a concern and challenge to the current administration. Robert Hall was the second Canadian hostage beheaded by the group after John Ridsdel last April 25. In a televised interview, Panelo said that“Si President-elect Duterte e hindi dapat gumalaw sa ngayon because hindi naman siya ang presidente e. It’s a proper concern of the present administration,”. “It’s a taunt against this present administration and not against Duterte,” he said. Panelo clarified that if the kidnapping or the beheading of foreign hostages occurred under the Duterte administration then the president-elect will react “swiftly” against it. "If they (Abu Sayyaf) do that during the administration of Duterte, then that could be a challenge to him (Duterte), but not now," Panelo said. Panelo also said that “The moment he assumes the presidency I'm sure there will be swift and fast reaction to the situation walang kaduda-duda’ yun,”. According to Panelo, Duterte believes in “no-ransom policy.” The incoming presidential spokesman said Duterte would rather resort to negotiation. 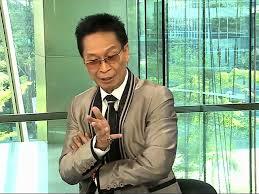 During the interview, Panelo said that “Ang alam ko lang ‘yung style niya noong mayor pa siya. ‘Pag mayroong mga kidnapping ‘di ba? He does the backdoor negotiation sa mga tao and then suddenly nare-release yung mga tao,”. “Hindi ko alam how he will do it but knowing him, magaling si presidente-elect marami siyang style na hindi natin alam pero very effective,” he added.